Fast drying acryllic lacquer with lasting gloss to embellish and repair steel and light metal rims and hubcaps. Wheel spray has good coverage, excellent adhesion and good surface hardness. 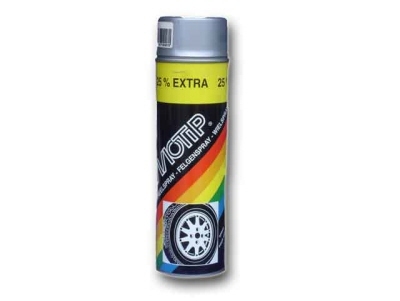 Wheel spray is resistant to petrol, chemicals and weather influences and is non-fading and UV-resistant. Furthermore wheel spray is wear-resistant and scratch free.